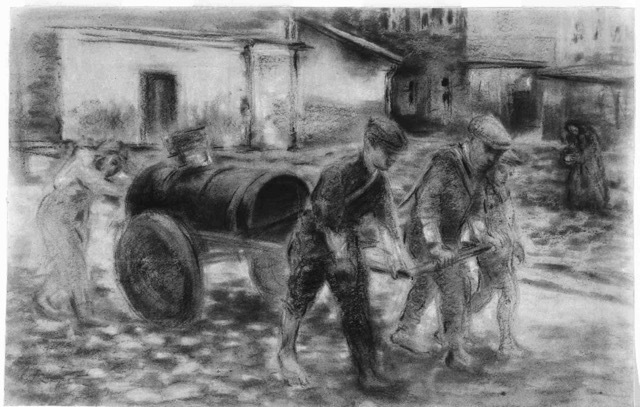 “Sewage Cart in the Lodz Ghetto”, drawn by Izrael Lejzerowicz. Crayon on paper; 43.5 x 67.2 cm. Yad Vashem Art Museum, Gift of Nachman Zonabend, Sweden. Based on photographs by Mendel Grosman.